I was going through a period where I wanted baked goods. I hadn’t eaten any sweets in a long time, and I was avoiding breads (except when we had free bagels at morning meetings). But I think it was a case of extended pre-menstral woes! 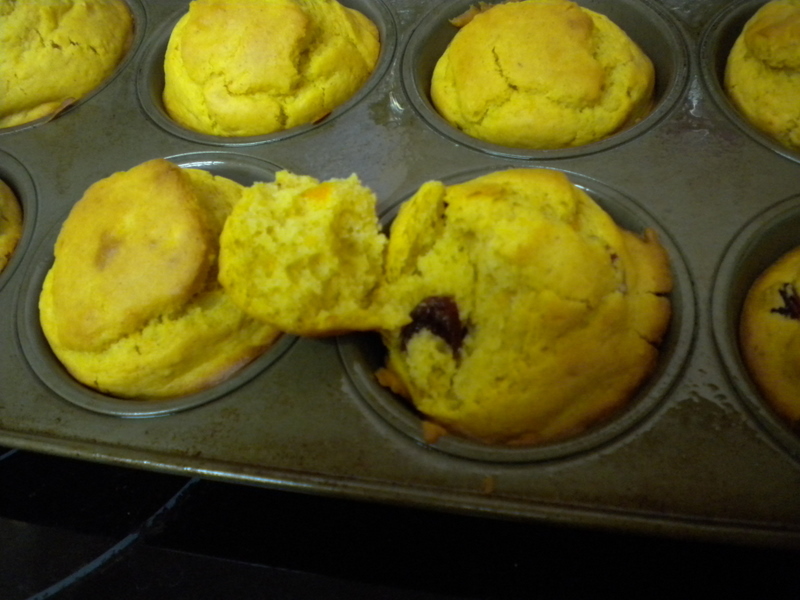 So I made some muffins! Yes, from scratch. I found the perfect recipe that gives you the basics (fail-safe), and allows you to throw in whatever other ingredients you have a craving for. The first ones I made had flax seeds and dried cranberries. These were a little dry, but still very good. 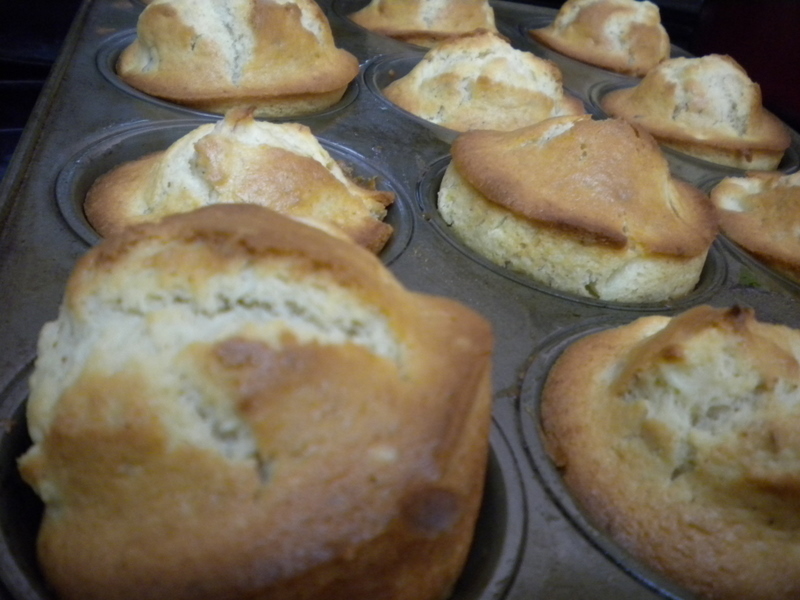 Then I tried apples and bananas; these were so moist and delicious! Today I have made, what I call The Ultimate: Cranberry, Sweet Potato and Honey! I hope they are not too sweet. The basic recipe calls for 1/2 cup of sugar, I only put 1/3 cup. So I hope they are GREAT! I have never baked with sweet potato (except pies and the spuds themselves). TRY IT: Tell me what you put in yours!